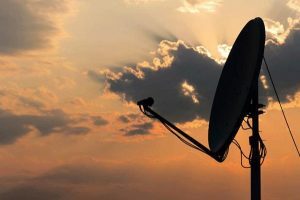 Research revealed in the annual Africascope report produced by TNS Sofres shows a buoyant TV market in French-speaking African countries and the increasing marketshare of the Eutelat 16A satellite, one of the key TV satellites for West Africa. The research analyses overall media trends in 4.2 million TV homes, representing 18.6 million people living in capital and economic cities in seven West African countries. TV is the dominant media in all markets with average viewing ranging between three and 4.5 hours a day. Multi-channel viewing and flat screen ownership are gaining ground in these key urban areas, both already accounting for over 30 per cent of TV homes and underscoring the transition to a digital broadcasting environment. For 40 per cent of the TV homes surveyed, satellite TV follows analogue terrestrial as the most popular choice for TV viewing. A total of 1.7 million TV homes, equivalent to eight million viewers, have adopted satellite reception as their preferred route to a multi-channel offer in digital quality. In this satellite universe, the Eutelsat 16A satellite emerges as one of the most popular in West Africa, reaching into almost half a million homes, equivalent to over two million viewers. This reflects a strong line-up of over 170 French and local language channels, including France 24, the all-news channel and TV5MONDE Afrique, the established francophone general interest channel. Eutelsat 16A also leads the free-to-air reach, serving two out of three free-to-air satellite TV homes in the French-speaking urban areas surveyed.